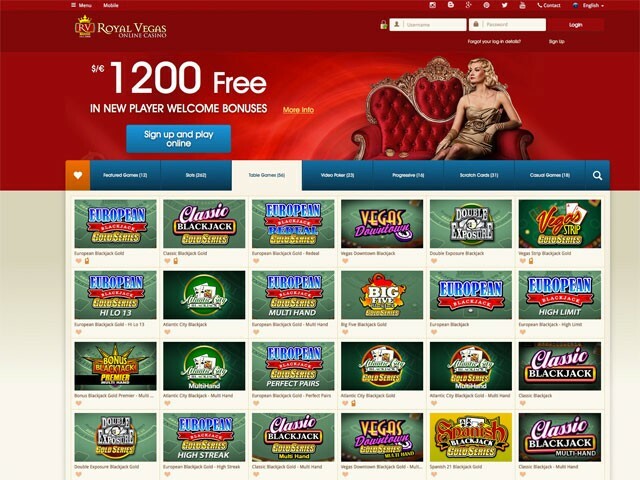 Over 400 games of various types are available for play in Royal Vegas. 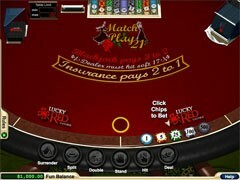 Having a wide selection of bonus offers, professional 24/7 support and high-end security, this bedazzling casino gives the best to both desktop and mobile users. 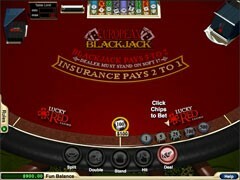 With its deep red and white color palette, Royal Vegas has a sophisticated look creating an impression of being at a real Vegas Strip casino. 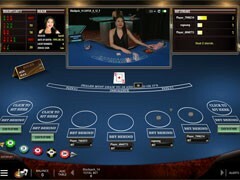 All the games offered by the casino are developed by Microgaming, an award-winning software provider. 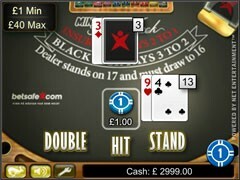 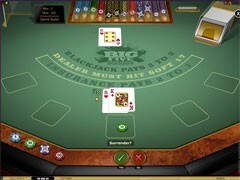 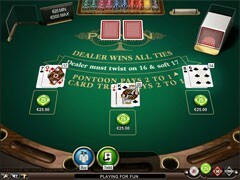 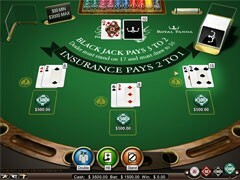 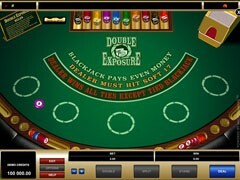 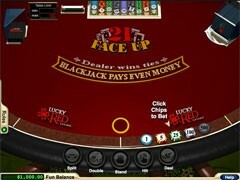 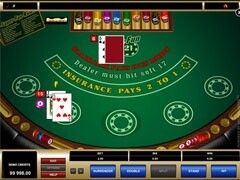 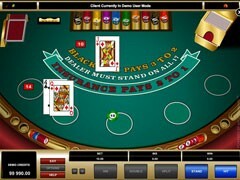 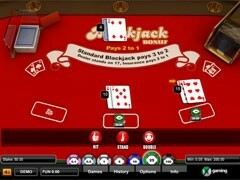 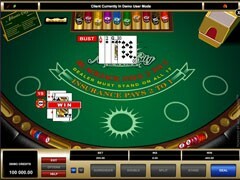 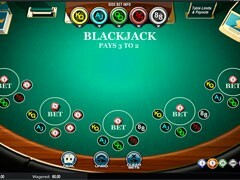 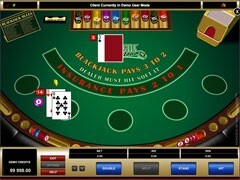 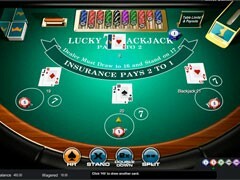 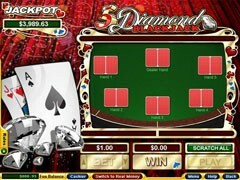 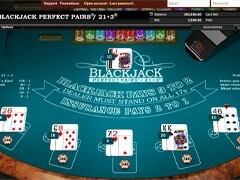 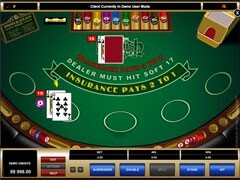 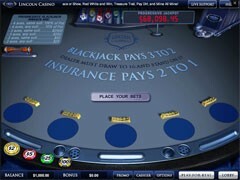 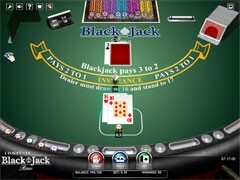 Blackjack and other games can be played directly from a browser in a real-money mode and for free. 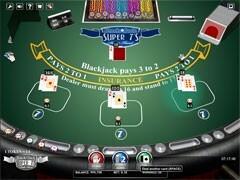 Royal Vegas uses advanced encryption algorithms to ensure safety for personal data and financial transactions. 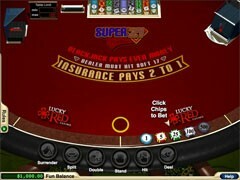 The casino’s compliance with the best fair play practices is confirmed by the Seal of Approval issued by eCOGRA that assesses an actual payout for all games on the website every month. 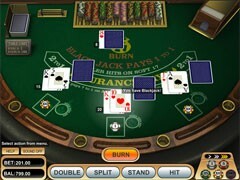 Royal Vegas presents over 25 blackjack games, which is about half a Microgaming’s library. 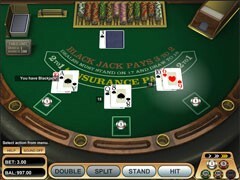 Some of the games are Classic Blackjack, Bonus Blackjack, Spanish 21 Blackjack Gold, Atlantic City Blackjack Gold and other single-hand and multi-hand blackjack variants. 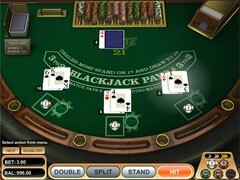 Table limits differ slightly from game to game, but they normally range from $0.01 to $1000. 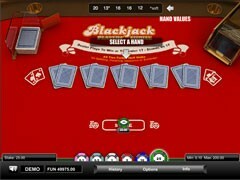 Some blackjack variants feature optional side bets that can maximize your winnings and give your extra choices. 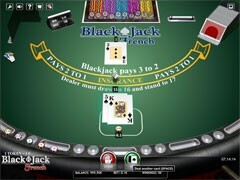 Overall, the blackjack games playable in Royal Vegas cover virtually all rule variations to appeal to seasoned aficionados and rookies as well. 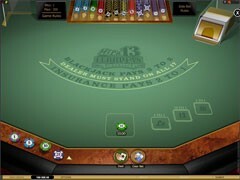 New players are offered a package of bonuses on the first three deposits subject to a 40 times playthrough. 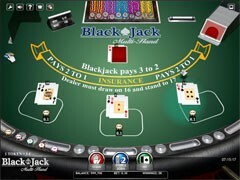 To add an element of fun and excitement to the gameplay, the casino runs scheduled blackjack tournaments on an ongoing basis. 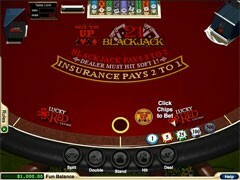 These can be free-roll tournaments with a free entry, and buy-in events that require a small entry fee.